The campaign to bring surfing into the olympics began nearly a century ago in 1920 when Duke Kahanamoku asked the International Olympic Committee to include surfing in the Olympic Games. Since that time the inclusion of surfing in the olympics has been a highly contested topic among surfers worldwide. With support from some of the most respected individuals in the global surf community and the International Surfing Association’s official recognition as the world governing authority for surfing, one could reasonably say that progress has been made. Perhaps the largest obstacles that has prevented the sport of surfing from being included in past Olympic games has been proximity to surf and the lack of competition worthy waves when access to the coast is not an issue. Here’s a thought provoking question worth pondering: What if we had access to world class waves of variable height, length, and shape available to us 24 hours a day, 365 days a year? What if we had the ability to produce overhead barreling waves in a controlled environment anywhere in the world? Well ladies and gentleman…this dream is soon to be a reality within the next 5 years, if not sooner. Multiple companies and big names within the surf industry have entered the wave pool race and it seems that we could be entering a new era for the sport of surfing. 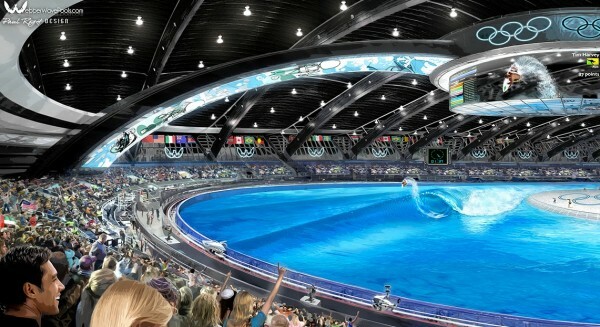 This is one massive step in the direction of surfing’s inevitable Olympic future. Unfortunately, the high quality waves seen in the video above were produced by a wave pool model that was not meant to be and was financially unfeasible as a dedicated surf park. Due to extremely high operating costs the Seagaia Ocean Dome in Japan was officially closed on October 1, 2007. You can learn more about the Seagaia Ocean Dome here. Although surfing will not be in the 2020 Olympic games there is solid potential to gain considerable recognition for our sport in the next few years. Once artificial waves and surf parks are on the map and people around the world have access to world class surf there will be a massive amount of momentum that is sure to bring surfing to the Summer Olympics of 2024. We’re calling it here at Surf Park Central and truly believe in the dedication of Fernando Aguerre and the ISA to succeed in their campaign to take surfing to the pinnacle of global competition. Here’s a statement from the most respected surfer on the planet and 11X ASP World Tour Champion Kelly Slater that manages to sum up the critical role of artificial waves in surfing’s future: “I am sure wave parks are our way into the Olympic Games, if that’s one of our directions, which it very well should be.” Cheers to that! 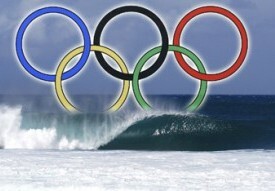 Check out Fernando Aguerre’s full article article on Surfing and the Olympics at ISA’s website. A Fans Perspective of Bringing Surfing to the Olympics – Why Do Some Surfers Resist Adding Surfing to the Olympics? Transworld Business Interviews ISA President Fernando Aguerre – Olympic Hopeful: Can Surfing Become an Olympic Sport? 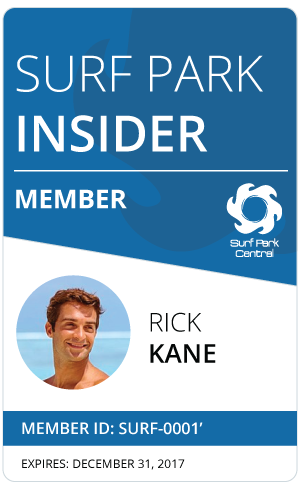 Thanks for finally talking about >Surf Parks, Wave Pools, and the Olympic Future of Surfing | Surf Park Central <Loved it!